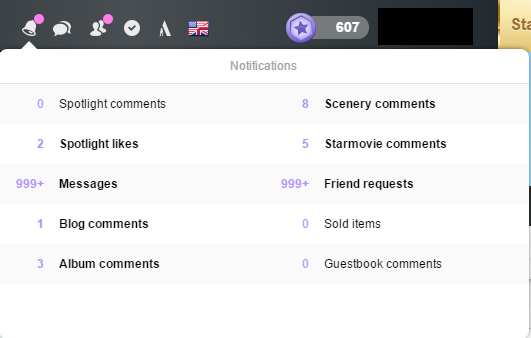 Hey everyone, Stardoll recently updated their website, here is how our notifications look now. Here is the full toolbar. We no longer see broadcasts below the page. 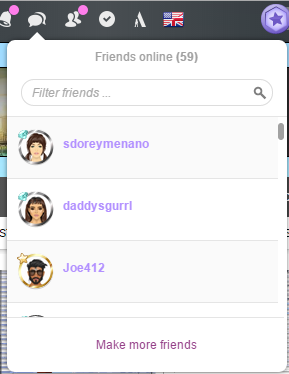 In my opinion, it makes this feature useless, no one wants to click the side of their page to see a broadcast. Here is how we accept friend requests now. I think this is better. Here is our new chat box.